is a qualified Medical Doctor (M.D.) who is Board Certified in Physical Medicine and Rehabilitation. As a specialist in spinal evaluation & treatment, pain management and rehabilitation of orthopedic problems, Dr. Suthar integrates a holistic approach with non-operative treatment options. He believes that an active, healthy lifestyle and a positive attitude are keys to preventing and maintaining physical well-being and facilitating recovery. He has extensive experience in diagnosing and treating ALL types of pain syndromes and his primary goal is to provide his patients with choices and options to avoid surgery. Although surgery is a necessary outcome for some individuals, Dr. Suthar will help each individual to explore all sound medical treatments along with reliable alternative considerations. His objective is to work with you to restore your quality of life, return back to work, or to gain functional improvement through the application of the most advanced proven medical techniques and procedures. Dr. Suthar has made his home in the St. Louis area with his wife, two sons and one daughter. He grew up in the North county St. Louis area and graduated from Pattonville High School. 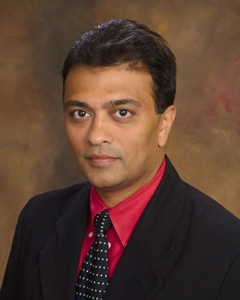 Dr. Suthar then attended college at Washington University in Saint Louis and medical school at the University of Missouri in Columbia. Dr. Suthar has affiliated himself with some of the finest Hospitals, Doctors and Therapists in the St. Louis area. As a result, the Pain Prevention and Rehabilitation Center has created a “virtual network” of relationships to help assist patients when other options such as therapy or surgery are necessary. He is involved in several major medical organizations and serves as a panelist for prominent web-based medical sites. He is an active participant of local public lectures/discussions and is involved in several charity organizations. His interests including coaching youth baseball for the past five years, and training high school basketball off-season health and fitness programs. He enjoys cycling at the Katy trail and many local roads and bicycle parks.